Yup. Sometimes I come across old notes or things that I've saved, and I get inspired by them all over again, especially as I think of new and fresh topics to blog about relative to employee and customer experiences. First, a brief history lesson. In the early 1800s, commissioned by Thomas Jefferson, Lewis and Clark set out on a journey across the United States (from St. Louis to the Pacific Northwest and back again) to map the lands; to learn about the flora, fauna, and people; and to identify how the Northwest could be exploited economically. A lot has been gleaned from their expedition, including some great leadership lessons. As a matter of fact, endless leadership books and guides have been written and camps have been created to teach or to role play these lessons. Lewis and Clark went on a journey, led an expedition. Hey, my blog isn't called CX Journey for nothing. The customer experience is a journey, as is your company's effort to deliver the best possible experiences for your customers. Having a strong leader who sets the tone and champions the brand is key to your company's success. Lewis and Clark guided their troops into unknown territory. Given the stats discussed in Monday's CXO Chat (i.e., 80% of the executives believe their companies provide superior customer experiences, yet only 8% of customers agreed), I think we've got a lot of companies stuck in unknown territory! 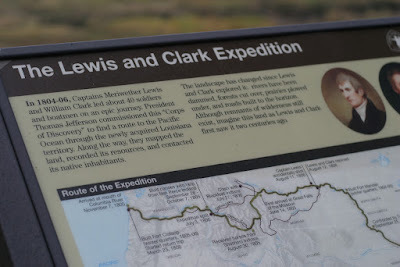 Lewis and Clark had a loyal following. They had excellent people skills and a way of inspiring people. Of all of the people who joined them on this expedition, they only lost one, and that was to disease. How loyal are your people? What's your employee retention rate? Customer retention? The first set of lessons is from an essay written by Dayton Duncan, The Lewis and Clark Guide to Leadership. Based on reading their journals, Dayton suggests that there were 10 rules Lewis and Clark adhered to. 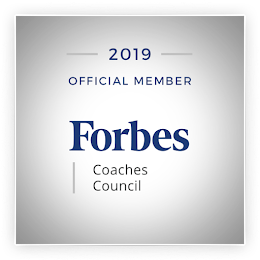 You can see for yourself how they apply not only to leadership but also to creating a successful customer-focused culture, which obviously requires strong, people-centric leadership. The second set of lessons comes from "Into the Unknown: Leadership Lessons from Lewis & Clark's Daring Westward Expedition" by Jack Uldrich. Uldrich states that Lewis and Clark inspired such loyalty that they are thought of as the most successful leadership team in American history. Along with their people skills, they were extremely forward thinking, optimistic, and able to see the forest for the tress. Lessons outlined in this book are slightly different from those in Dayton's essay, but again, you will quickly see how these relate to your customer experience journey. Enough said... you can't argue with any of these; they are great words to live and lead by! Exit Interviews? Why Not Do Stay Interviews? Employee Engagement Strategy - Inconceivable!